Among the top-rated Security providers in the Buffalo/Niagara NY region, Buffalo Protection & Investigations, Inc. provides highly trained Security Officers to a wide array of industries and settings. As one of our core offerings that is built upon a philosophy of providing best in class customer service and safety, our security services are customizable and can be tailored to client needs. Our security team is comprised of professional officers that are selectively recruited, rigorously screened, professionally managed, and extensively trained to offer high efficiency in incident deterrence and safety. Supporting local corporations, businesses, retail, hospitals, residential communities, and a variety of event venues, our front-line, licensed employees set the industry standard for excellence in the field. Our Officers have the knowledge, professionalism, and expertise to protect our clients physical and financial assets in a cost-effective manner. 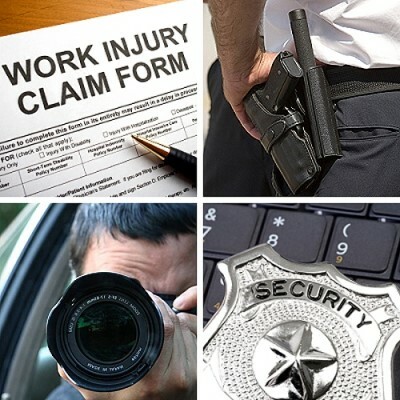 Buffalo Protection & Investigations, Inc. is committed to becoming your one-stop security provider of choice. Our Armed Officers have extensive training on the weapons they carry, along with the overall goal of providing protection against threat or harm. Securing all areas of a site, our Armed Officers maintain a safety and security presence while providing top-notch service to our customers and their patrons. With assurance that policies and procedures are highly maintained, a sense of urgency is used to monitor activity and respond to all emergency situations. Our licensed and dependable Security Officer professionals are organized with a keen eye for detail. Our security team provides quintessential service while maintaining a high level of visibility at assigned locations to deter criminal or disruptive activity. They assist our clients and the public by exemplifying company values with a focus on service and safety. Our licensed Off Duty Officers possess a Military, Police, or Corrections background. They serve as an enhanced security layer providing physical security services including foot patrol, fire watch, post assignment, and crowd control for assigned locations. As experienced industry experts, our Officers are proficient in handling security escalations and risk mitigation.